Voici une nouvelle release pour Altirra, émulateur des ordinateurs Atari 8 bits (400/800, 1200XL, 600/800XL, 130XE, XEGS) et de l'Atari 5200, qui passe en version 3.10. - Default keyboard shortcuts have changed. Reset in Tools > Keyboard Shortcuts to use the new bindings. - Modems now default to handshaking disabled rather than RTS/CTS due to differences in default RTS state for R: devices. Use AT&K0 to disable handshaking and AT&K3 to use RTS/CTS. 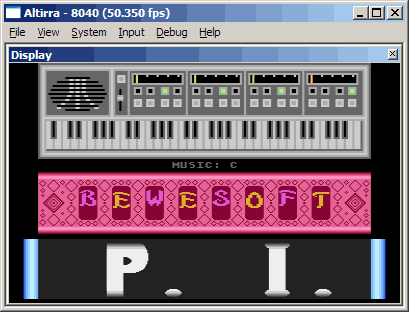 - AltirraOS: Added 65C816 native mode capable version. - Audio: Added support for XAudio2 and WASAPI sound APIs. - Cartridge: Added support for .CAR types 60, 67-70 (Blizzard 32K, XEGS 64K alternate, Atrax 128K raw ordered, aDawliah 32K/64K). - Cartridge: Added show-all override to cartridge mapper dialog. - Debugger: Added FDCWTDATA logging channel to dump the raw track stream for Write Track commands. - Debugger: Added several new verifier modes. - Debugger: .basic_rebuildvnt now has a -t option for TurboBasic XL support. - Debugger: Added extended memory bank tracking support to the history window and breakpoint systems. - Debugger: Add custom symbol (ya) command can now add read-only and write-only symbols. - Devices: Added loopback serial device. - Devices: UI now shows when a device is missing firmware. - Disk: Adjusted default sector interleave patterns to more accurately match real disks. - Disk: Added options to UI disk dialog to reinterleave disk images and to convert disk images to different filesystems. - Disk: Added option to revert a disk in virtual read/write mode back to last saved contents. - Disk: Added full emulation for the I.S. Plate disk drive. - Disk Explorer: Added options to relax filename checking and automatically rename conflicting filenames. - Display: Added option for color correction from NTSC/PAL colors to sRGB and Adobe RGB color spaces. - Display: Added option for auto-switching between NTSC and PAL artifacting modes. - Firmware: 400/800 firmware ROM images can now use XL-like 16K layout for $Cxxx extension firmware. - HLE: Program loader now has modes to allow the load to be triggered by a type 3 poll or a loader program. - HLE: Program loader detects conflicts with and offers to disable internal BASIC. - HLE: Fixed main memory not being completed cleared on startup in some cases with Fast Boot enabled. - PerfAnalyzer: Profiler view can now be opened on trace sections. - PerfAnalyzer: Writes to WSYNC are now considered idle processing. - Platforms: Added native ARM64 build. - Serial: Added support for emulating modem dialing and handshake sound. - Serial: Modem registers S8 and S11 are now supported. - Simulator: Added command to cold reset (power-cycle) the computer without power cycling peripherals. - UI: Combined many menu options into a combined system configuration dialog. - UI: Clicking on non-text area now clears text selection. - UI: Added /d3d9 and /d3d11 command-line switches. - UI: Reworked command-line help (/?). - UI: More system configuration changes now confirm before resetting the computer. - UI: Automatic reset for configuration changes is now configurable. - UI: The image types automatically unloaded in the Boot Image command can now be configured. - UI: The Disk Drives dialog is now modeless. - UI: Added overscan option to reserve bottom margin space on screen for the indicators. - UI: Enlarged the hit area for dockable pane splitters to make them easier to hit. - UI: Main window caption can now be customized. - UI: Added option to automatically switch to default profile when launched to start images. - VFS: Added support for accessing files within filesystems in disk images (atfs://). - 5200: Default cartridge is now correctly loaded if last mounted cartridge fails to load. - Cartridge: Fixed XEGS banking modes in The!Cart emulation. - Cassette: Dirty state is now tracked for tapes. - Debugger: .dumpdsm command can now be used above bank 0. - Debugger: Fixed Y/P register display issues in history with special registers enabled. - Debugger: Fixed repaint issue in history window related to removing NEXT node. - Debugger: .vectors now reports the native IRQ and emulation COP vectors correctly and no longer reports a bogus native reset vector. - Debugger: Fixed invalid effective address being displayed in disassembly for [dp] and [dp],Y addressing modes. - Debugger: Suppress operand label decoding for direct page modes in 65C816 mode if D<>0. - Debugger: 6502 coprocessors no longer show a 65C816-style 16-bit accumulator in register dumps. - Debugger: Fixed power-on delay option clearing pending step operations immediately after cold reset. - Devices: Added cooldown timer to browser (B:) device on deny to prevent modal dialog spamming. - Devices: Fixed kernel ROM override conflict between Rapidus and U1MB. - Devices: Rapidus no longer switches back to 6502 on warm reset. - Disk: Fixed crash when attempting to recursively expand .ARC files on disk image with unrecognized filesystem. - Disk: Fixed some issues with zero-byte file and subdirectory creation on MyDOS disks. - Disk: Fixed occasional filesystem errors when expanding .ARC files on an SDFS disk. - Disk: Adjusted DD 512 SDFS boot sector to pass CLX validation. - Disk: Attempting to boot an .ARC sourced disk image no longer crashes in the boot process. - Disk: DOS 1 format now uses correct VTOC signature. - Disk: Fixed directory update bug on DOS2/MyDOS disks when deleting the last file on the last directory sector. - Disk Explorer: Creation timestamp is now preserved when dragging files in and out of an SDFS volume. 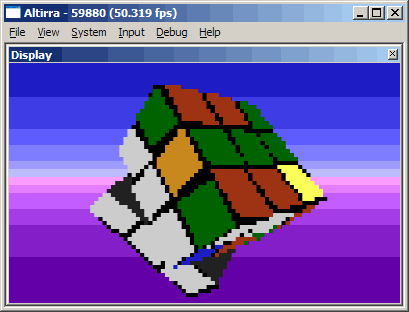 - Display: Added workaround for fullscreen mode failing on some versions of VMWare SVGA 3D driver. - Display: Gamma correction setting now works in PAL high artifacting mode. - Display: ANTIC DMA analysis mode now displays when artifacting is enabled. - Display: Fixed bug with PAL high artifacting ignoring odd hires pixels. - Display: Artifacting phase and saturation are now hooked up for PAL high artifacting. - HLE: Improve tolerance for nonstandard CIO path termination (fixes MultiBASIC DIR command with H:). - Input: Fixed startup crash when DirectInput 8 is not available. - Input: Fixed "allow Shift key to be detected on cold reset" option not working when disabled and full raw keyboard scan was enabled. - MMU: Fixed another Axlon/PORTB memory aliasing issue. - POKEY: Improved accuracy of high-pass filter. - Serial: Fixed crash in R-Verter emulation if remote connection sent characters before the CONNECT message had been sent. - Serial: Fixed slightly inaccurate baud rates at high speeds with 850 full emulation. - Serial: Fixed block output mode, two stop bit mode, external input buffer sizing, and other misc bugs in the full 850 handler. - Serial: Modem S12 register now controls command sequence guard time. - Serial: Socket handling rewritten so that hanging up while a connection is still in progress no longer hangs the emulator until the connection attempt times out. - Simulator: Corrected mapping issue for 24K/32K/40K memory modes. - U1MB: $D500-D5BF memory is now forced on in config unlocked state. - UI: Save states and SAP files now load correctly when dragged from .zip files. - VBXE: ANTIC hires pixels now always have PF2/PF3 priority except with XCOLOR=1 on FX1.26 core where enabled pixels have PF1 priority. Ce sujet a été lu 1007 fois.